When a manufacturer uses the hashtag #ThisThingRips as their slogan, you know they're serious about delivering an incredible vaping experience! SToK USA has been hard at work perfecting the designs of classic vaporizer pens for wax, improving performance, and developing innovative solutions to common problems like clogging and poor air flow. Their line of unique dab pens offers a great value for the money by providing great-tasting, potent vapor without costing a fortune. Now with four concentrate models in their lineup, SToK brand offer the perfect vape for everyone. Say goodbye to your bulky, non-portable dab rigs and say hello to the beauty that is the SToK R Series. If you prefer your waxy concentrates over the herbs, the R Series is for you. These wax vaporizers forgo all of the bells and whistles to bring you a simple solution for all of your dabbing needs. The Stok R Series 2 portable vape is entry-level model and is small in size for easy carrying and use. Its coil has been calibrated to heat to a lower temperature for even heating and more flavorful vapor that allows you to enjoy the natural taste of your waxes. The ceramic rod reaches working temperature quickly, so you can get to vaping in a hurry. With its durable poly-carbonate visual heating chamber, you can watch the vapor form before drawing through its comfortable mouthpiece. The R+ airflow system virtually eliminates resistance for easy inhalation. Disassembling and cleaning R Series 2 is easy, and the 6500 micro Amp battery has a microchip processor that allows it to hold double the charge compared to other batteries its size. That means you'll be able to vape a lot longer before recharging. The Stok OG Four 2.0 is a step up from the R Series 2, as it offers many of the same benefits as the entry level with some additional features. This wax vaporizer has a larger heating chamber that allows you to load more material. It also features a direct quad airflow system that gives you even less resistance and very large clouds. In the OG version, you'll find a calibrated low temperature controlled coil that keeps vapor flavorful. 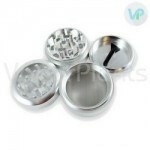 Its deep dish design greatly simplifies loading, and the lava quartz technology ensures even vaporization, so that you get the most out of your material. The dab pen can rival the quality of many eNails due to its advanced features. Higher up of the SToK collection is the R Series Roil. It has the same patented deep dish design and quad airflow system as the OG Four 2.0, but it also has some extra features that the slightly less expensive model lacks. This wax pen vaporizer is a coil-less vape that utilizes a ceramic ring as its heating element instead of a metal coil. With its direct quad airflow system which lasts 50% longer, it is no stretch to say this thing indeed rips. It features a removable top cap that helps to keep your business strictly your own. It also comes with a polycarbonate visual heating chamber and a safety feature that will shut the R Series Roil device off after 10 seconds along with a color coded, three stage battery indicator light. The design of every SToK R is simplistic yet trendy. The size of a regular vaporizer pen, it has a sleek, black finish that is very nice to look at. The clip on the cap allows it to be stored in a pocket or bag for on the go use. It is clearly intended for not only convenience, but also for style, as you can watch the vapor build up in the transparent polycarbonate heating chamber. The ceramic ring works to heat your concentrates efficiently, and you can clearly see as it does just that. The R Roil also has a unique funnel-shaped heating chamber with the heating element placed down at the bottom. This funnel shape lets you load the concentrates without incident and enhances the efficiency of the vape. Instead of a coil system, this device features a low temperature coil-less ceramic ring that is highly efficient, and gives you delicious flavor that is unparalleled for device of its price. You can vape for 50% longer with the Roil because of it's unique variable voltage battery. As a result, you have the ability to adjust the working temperature to suit your taste. The SToK R Roil produces vapor that matches well with other high-end expensive vapes. Thick and flavorful, this vapor is consistent throughout the entire session. The 6500UA battery with a microchip processor is incredibly long lasting, able to go for 24 hours of use without needing a charge. When it does need to be charged, you'll know thanks to the three stage color battery life indicator, which makes it even more convenient. Charging the vape is as simple as plugging it into a USB charger. In order to fire up this vape pen, you must press the start button five times quickly, which helps to keep it from misfiring in your pocket. There is also an auto shut off once its been idle for 10 seconds. All in all, if you want something for your concentrates that is simple to use yet exceptionally high in quality, the SToK R Series Roil vaporizer might just be for you. It has everything you need to dab safely and on the go with great vapor production, a long lasting battery, and beautiful design. It is a rather cheap vaporizer as well, and for the price, you get everything you need to get started right away. The Stok R Series ReMix is a coil-less wax vaporizer with a ceramic thermal cup to ensure that concentrates heat evenly and completely. It comes with three different voltage settings to customize the temperature: blue (low) 3.6 volts; orange (medium) 3.8 volts; and red (high) 4.2 volts. The Stok R ReMix remembers your last heat setting, so the next time you turn it on, it will automatically heat to that temperature level. The vape pen's heating element is also a polycarbonate visual chamber, allowing you to see the vapor as it is being produced. Resembling an electronic cigarette allows this wax vape to be ok to use in public. Two airflow slits at the bottom of the atomizer ensure heat comes in from the bottom and rises to the top and easily into the mouthpiece. Dab pen has been designed for ease of use, as all it takes to load the ReMix vaporizer pen is to unscrew the polycarbonate slip from the heating element and then load the chamber with the included dabbing tool from the silicone jar provided with the kit. The wax pens in the Stok R Series are known for their large, dense, milky hits, and the ReMix is no different. It produces even bigger, tastier clouds than its predecessors since the atomizer does not use any coils and can last for up to 2-3 weeks with proper care. The draw resistance coupled with its great airflow means comfortable draws each time. The Stok R ReMix features a powerful 6500 mAh battery that can power days of moderate use. It comes with a 10-second safety shut off feature, and, once the battery drains completely, it can be easily recharged using the included USB charger. Great little wax pen - Review by Carl W.
The Stok OG Four 2.0 is a powerful little thing that really gets the job done. I love that it is really discreet and allows me to take it with me anywhere. It even kind of looks like a vape pen looks. It rips like a mad man and works just as it was promised. It definitely lives up to its name and reputation. I use it almost every single day with many different kinds of concentrates and I clean it after each and every use. It is a great little pen that is so quick and convenient to use. Recommended - Review by Josephine R.
The temperature is perfect and the battery is solid on the Stok Remix. I recommend it to everyone. Low price and high output - Review by Jessica R.
I am overall very satisfied with this product. I do not like how it gets dirty like all of the time when I use it so I am constantly having to clean it but it is worth it for its low price and high output. I like how discreet it is as well. It handles all of my material wonderfully and has yet to disappoint me. It feels really solidly made as well. Lung hitting experience - Review by Alex D.
I love how easy it is to hit the Stok Remix; it feels like sipping tea and not pulling out a lung hitting the vape. Ceramic chamber heats up evenly - Review by Johnny P.
I love the Stok Roil. I prefer the ceramic chamber to the coils because I think that it heats up the product more evenly and does not waste as much material. This also makes it easier to clean and easier to get any reclaim off of it. I use the Stok Roil on the lowest possible temperature setting. This has worked out best for me in terms of flavor. Flavor is outstanding - Review by Roland P.
I have never had a wax pen quite like this one. The flavor is outstanding and the hits are potent. Coils are durable - Review by Willard I.
I got this pen a year ago and it has never let me down. It works just as well today as it did back then. The coils are durable and the battery is long lasting. I love everything about it and never want a different one. The Stok OG Four 2.0 is the one to get for any new or advanced vaper. Battery is really solid - Review by Anthony R.
I love the versatility that comes with the different coils. The battery is really solid and long lasting and it looks just like an electronic cigarette so I can take it anywhere I want to go. Great taste and minimal smell - Review by Warren B. The Stok Roil gives me great taste and minimal smell. The draw resistance is low and it is comfortable for me to hit it. Overall this is a great pen. I love the multiple coil choices as well. Consider the Stok Remix - Review by Jeff L.
I love how easy it is to use the Stok Remix and to clean it. I enjoy the fact that it has no coils because I feel like it uses up my material a lot more efficiently. I think if you are like me and like to travel, you should consider the Stok Remix. Tastes clean - Review by Mildred W.
I bought this Stok OG Four 2.0 pen 3 days ago, and am already in love with it. It tastes so clean and smells only minimally. The design is simple and the price is right. Nothing bad to say - Review by Steven P.
There is nothing bad to say about the SToK R Series 2. It is cheap but it is not cheaply made. I love that it comes with different coils. Battery life outstanding - Review by Dabbing D.
The battery life of the Stok Roil is outstanding. Because it is so sleek and small, I can take it with me anywhere and will not have to worry about the battery dying on me when I don't have a charger. Great wax pen - Review by Charles E.
The two thermal cups that it comes with are awesome. It really hits like a dream and the battery is nice and powerful. When I have to charge the battery, which is not often, I don't feel like it does not take all day to charge. Stok Remix is a really great pen. Almost perfect - Review by James C.
The Stok Roil is everything I wanted in a vaporizer. I like that there are two atomizers that come with it. The only complaint that I have is that it gets really clogged pretty fast. If you are an avid vaper, it might not be for you. That said, if you are someone who vapes only on occasion, then the Stok Roil is probably perfect. I love this pen - Review by Dennis T.
I think the visible chamber of the Stok OG Four 2.0 is really unique. Nice bit of vapor production - Review by Dabs I. Overall the SToK R Series 2 is great. It rips like crazy and has a nice bit of vapor production no matter how much material I put in there. The only flaw is that it is not made domestically, I think. Not disappointed - Review by Judy B. This was my first vape and I'm not disappointed. I love everything about it and recommend it to all of my friends who dab. I feel like I never really have to charge it either. Best vape pens for wax - Review by Antonio L.
This is one of the best vape pens I have ever used. It is small and has a coil-less chamber, which makes it easy for me to clean it out. The technology inside of this is wonderful and it is great for high performance vaping. I take this thing with me practically everywhere I go and am never let down when it comes to the battery. Durable - Review by Julie C.
I have always been on the hunt for a great wax vape and I finally found it with the Stok Roil. The Stok Roil is durable and small and works exactly as advertised. Great battery life - Review by Janie H.
I bought one of these and then had to buy another to keep people from constantly asking to use mine. It is great to use at home or on the go. It rips and it has a great battery life. Discreet - Review by Ruth R.
The SToK R Series 2 is a great kit for those who are looking to get started vaping. It has different coils to choose from and the battery is solid and lasts forever. Its coils do get clogged really fast but this is really good if you only vape occasionally. One of the things I love about it is that it is discreet. As I am outside the U.S., I have to pay for international shipping, but VaporPlants is worth the extra charges. Products by #ThisThingRips and Dr Dabber are the very best quality, and customer service is one of the best I have ever run into. I will be buying everything from here from now on. I really needed help choosing a vaporizer; from the model, to the style, to the design. I called customer service and experienced the very best, professional assistance ever! I had tons of questions, and he answered everyone gladly. I received my wax vaporizer pen Stok R Series in like two days! I am truly impressed, and will be shopping with VaporPlants.com from now on!